Just days after my phone conversation with Janet the 70,000 word manuscript arrives, typed neatly on yellow paper. I read it one sitting. It starts with a bang. 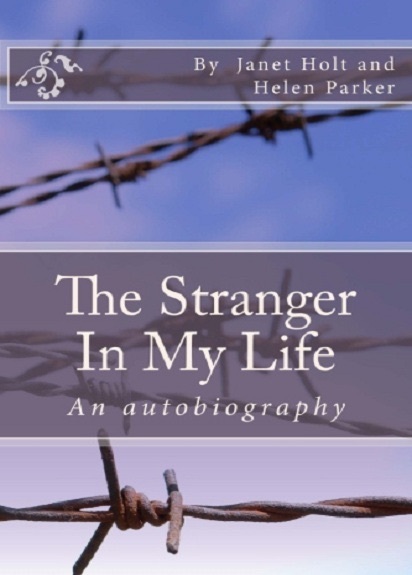 There’s a vivid description of an horrific nightmare that’s incredibly intense and literally leaves me reeling then, second paragraph, Janet starts her story again – a completely different tale this time, of an innocent but headstrong 10-year-old girl living at home in the suburban part of New Mills in High Peak, Derbyshire. She describes her family; mum, Mavis Holt, dad, Walter, and her half brother. There’s idyllic days spent outdoors in the 1960s, taking her neighbour’s dog for a walk, her parents buying her a pony, winning rosettes at local gymkhanas and watching Morecombe and Wise on TV then – BANG, Janet is back in the present day with another nightmare, this time leaving her in a cold sweat, gasping for air, spewing up sick on her bedroom floor. Then back she’d go to her first job; second job; going into partnership at Ball Beard Farm with taciturn farmer, Fred Handford; then BANG she’s dreaming of a red door, a hollow-eyed head staring at her from the mire and the panic leaving her in a cold sweat, writhing on her bed. I jot down notes as I read. I’m not sure at this stage if Janet has been having nightmares from a young age or whether something in later life has triggered them. I am also waiting for more details of the lost five days and the stay in prison that Janet had mentioned to me on the ‘phone. And I wonder if they are linked. 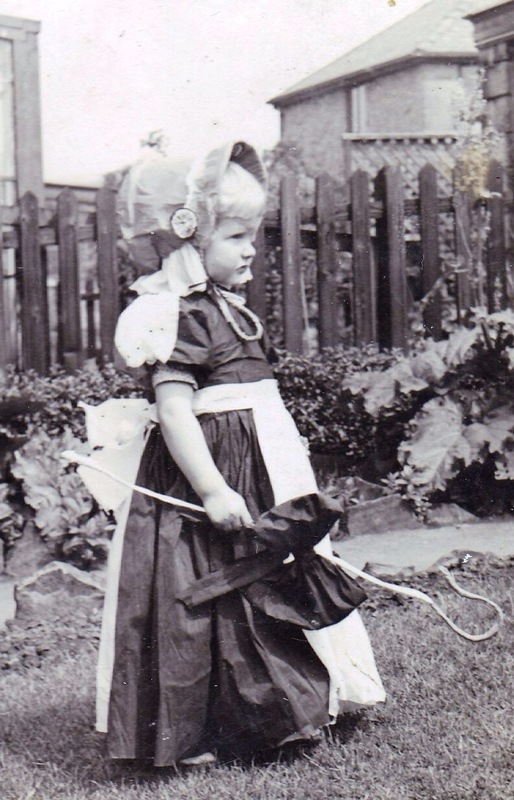 Janet aged two, dressed as Little Bo Peep.